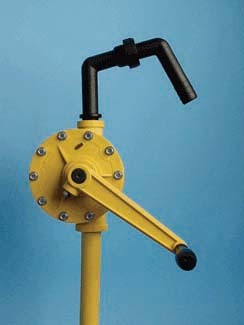 These PLASTIC ROTARY PUMPS fits standard drums and are chemical and corrosion resistant. 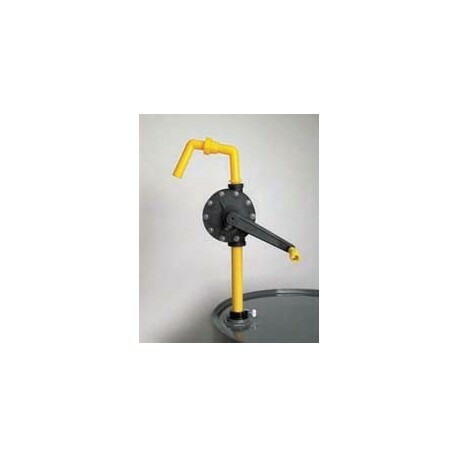 Intended for use with a wide range of UV fluids and other chemicals There are four Rotary Pump options offering either Polypropylene or Polyphenylene Sulfide (PPS) rotary construction and featuring either Viton® or Teflon (PTFE) seals. 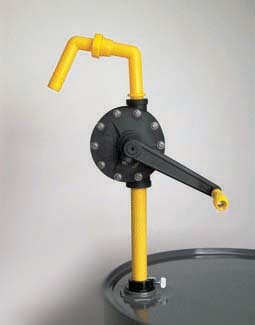 One model also offers a Stainless Steel Spout and Intake Tube. 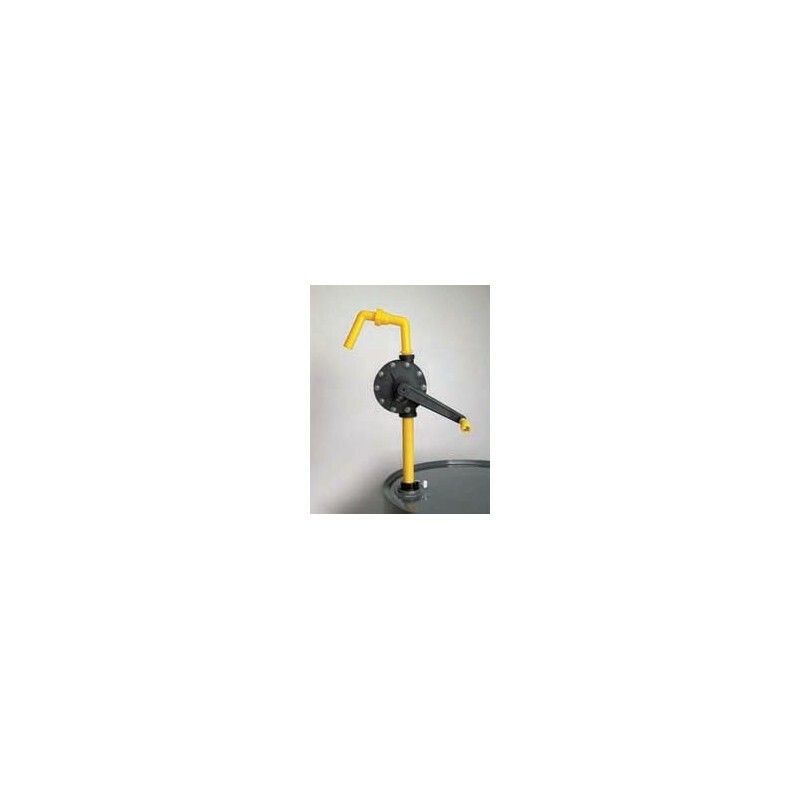 Polypropylene Pumps deliver up to 8 GPM and are ideal for most organic acids, waxes, plating solution, detergents & water-soluble inorganic chemicals. 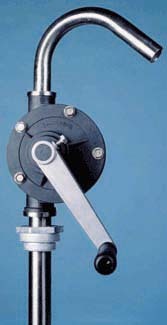 PPS Pumps deliver up to 6 GPM and are designed to handle aggressive chemicals such as esters, ketones, and hydrocarbons. 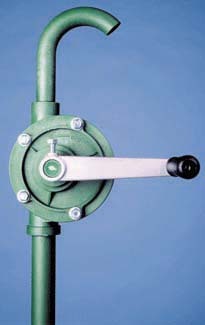 All pumps have a 40" 3-piece intake tube and include a 2" NPS bung adapter. Note: Always check chemical compatibility of your product against the pump materials.